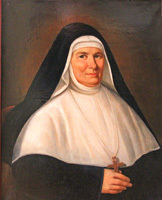 We wish our Marist Sisters throughout the world a very happy feast day as they recall their Foundress, Jeanne-Marie Chavoin, born on Aug 29, 1786. Above: Portrait of Jeanne-Marie Chavoin at Bon Repos, Belley, France / Jeanne-Marie is remembered in this window of her parish church at Coutouvre. 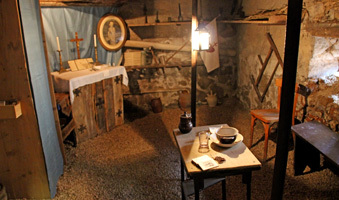 Below: The cellar of the Chavoin home, Coutouvre, where clandestine Masses were celebrated by priests hiding from the Revolutionaries / Oceanian Marists at Mass in the cellar, the second since the French Revolution. | The Chavoin home at Coutouvre. 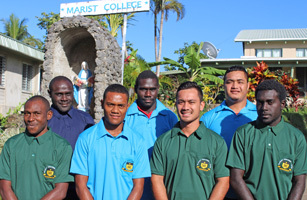 Oceania Marist Province web site this week introduces their seven prospective candidates for Marist College in 2017. 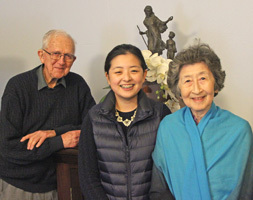 Maria Sachiko Yamoto and her grand-daughter, Akiko, were guests at Villa Maria recently. In appreciation for half a century of ministry of Marists in Nara Prefecture, Maria raised $10,000 towards the cost of a replica statue of Our Lady of the Journey, which was presented to the Australian Province some months ago. This was enough for a second statue which is now being made and which will be presented to the General House of the Marist Fathers in Rome in September. Arigato gozaimas, Maria! 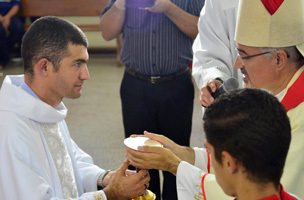 Congratulations to Fr Luiz Antonio Maciel SM who was ordained priest by Bishop João Justino in Santa Luzia - Minas Gerais, Brazil, on Aug 06. Confreres, members of the Marist Family and friends accompanied him at the ordination and the following day when Fr Luiz celebrated his Mass of thanksgiving in San Sebastian. 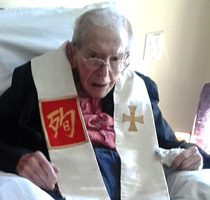 'This week saw a significant step forward in the formal process of Fr Colin’s beatification. Almost two years ago, in Oct 2014 a petition from Cardinal Barbarin, Archbishop of Lyons, to reopen the Cause at the diocesan level was submitted to the Congregation of the Cause of Saints. 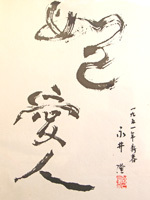 'This and three other Roman dicasteries were required to give their approval. 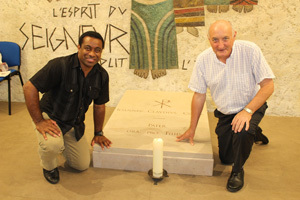 Our Postulator, Fr Carlo Maria Schianchi, (pictured, left) monitored the matter at regular intervals with the Vatican. 'Finally, in a document dated Jul 08, 2016, Cardinal Amato, the Prefect of the Congregation of Saints, has sent the nihil obstat to Cardinal Barbarin, permitting the cause to move forward at the diocesan level. 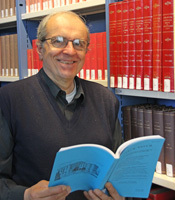 'An accompanying letter also mentioned that the writings of Fr Colin should be studied by two theological censors, and that a historical commission should study well the difficulties that Fr Colin had with the Vicars Apostolic and Propaganda Fide, some questions concerning the writing of the constitutions, and any other difficulties that might arise. 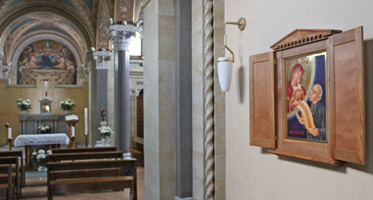 The official icon of Fr Colin in the chapel of the General House of the Society of Mary, Monteverde, Rome. The MCC team leaves Villa Maria for Bellambi / ... from left: Kim Evans, Claire Hatchman (Woodlawn College), Mitchell Brown (Holy Spirit College), Krista Bleakley (Woodlawn), Stephanie Ibrahim (Marist Sisters College Woolwich) and Glenn Roff. Another step forward was taken this week by the Marist Charism & Culture group. Four young teachers from three Marist schools in NSW shared their MCC vision with grade 7 students of Holy Spirit College, Bellambi, NSW. The team was led by coordinators Kim Evans and Glenn Roff who next month will lead MCC college principals to Rome and the Marist Places in France. 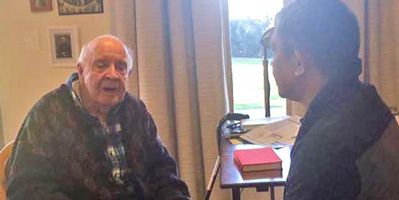 Following a guided retreat with theologian, Fr John Thornhill SM, and multiple visits to local Marist activities, Fr Lionel ('Long') Mechavez SM has returned to the Philippines. 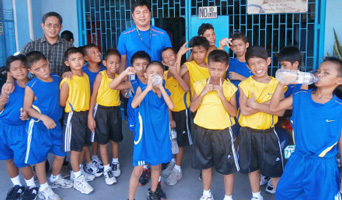 Fr Long is director of 'Balay Pasilungan' centre for street kids in Davao, Mindanao, caring for homeless boys from 5 yrs to 15 yrs. 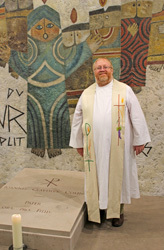 Above: Fr Long leaves for the Philippines after his time Down Under / at the Marist Mission Centre with Fr Paul Sullivan. 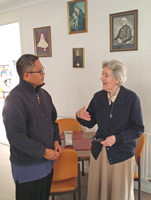 Below: Fr Long during a retreat session with Fr John Thornhill / ...with senior Marists at 'Montbel' | Fr Long visiting the Marist Sisters, with Sr Julie Brand SM / ...and former superior-general, Sr Margaret Purcell SM. Further below: Fr Long in 2013, newly-appointed to Balay Pasilungan. Happy feast day to all our web visitors and, in a special way, to our Marist Brothers who hold the Assumption Feast so dearly. Sr Dorothea ('Dot', to her many Marist friends) worked tirelessly in numerous apostolates, including teaching, catechetics, administration, pastoral and aged care. Working with the Marist Fathers on the team of Star of the Sea parish, Gladstone, Qld, Sr Dorothea recruited and trained an army of lay catechists to service the parish's twenty-two state schools, typical of her generous spirit, availability and skill. May she rest in well-deserved peace. 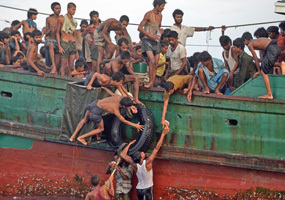 Graduates from the Marist-sponsored 'Bridge Program' have produced YouTube video clips depicting what it's like to be an adolescent in Burma (Myanmar). The 'BP-ers' are amongst students of Australian Catholic University's Thai-Burma border program at Mae Pa, Thailand. video 1 | video 2 | video 3. 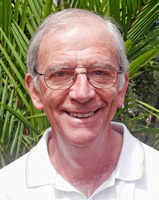 Fr Michael Fitzgerald SM has provided for Marist Oceania Province's web site new and succinct historical summaries for its eight national regions. The province's regions include PNG/Bougainville, Fiji, New Caledonia, Samoa, Solomon Islands, Tonga, Vanuatu and Wallis & Futuna. For the updated pages click here for OMP web site and go to the individual regions. We join in offering "Happy Feast Day" to Josephite Sisters throughout Australia, New Zealand and East Timor as they celebrate the solemnity of St Mary of the Cross (MacKillop). 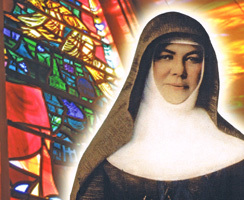 Mary MacKillop was beatified by Pope St John Paul II in Sydney on Jan 19, 1995 and canonised by Pope Benedict XVI in Rome on Oct 17, 2010. On Aug 07, 1790, Jean-Claude Colin was born in the hamlet of Barbery in central France. A simple cross stands on the site of the Colin home, several kilometres from the village of St Bonnet-le-Troncy were the young Colin was to spend his boyhood. 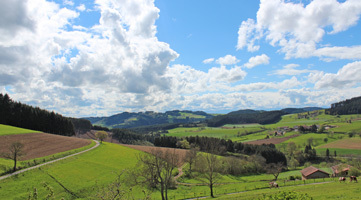 The nearby forest of Crest became at different times a hiding place for the parish priest sought by revolutionaries, as for Colin's father, Jacques, and later a quiet refuge for the shy Jean-Claude. 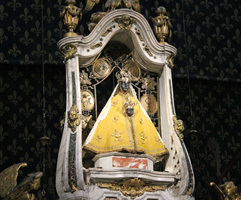 Aug 04 recalls the saintly Curé of Ars, John Vianney, one of the great spiritual guides of his time. He was also an early member of the Third Order of Mary and a contemporary and close friend of Marist Founder, Jean-Claude Colin. For an extract of his teaching on prayer click here. 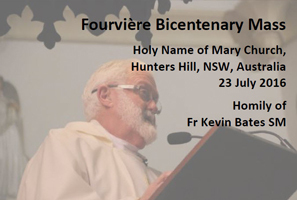 The homily of Fr Kevin Bates, preached at the Fourvière Bicentenary Mass at Holy Name of Mary church, Hunters Hill, is one of several anniversary addresses available from the Colin web site. 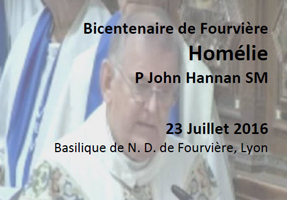 Other messages are the homily of Superior-General, Fr John Hannan, at the Fourvière Basilica, Lyon, and the keynote address of Fr Justin Taylor in Auckland, NZ, both on Jul 23, 2016. Download from the Colin web site's Fourvière page. Veteran Japan missionary, Fr John Hill SM, was assisted by his cousin, Bishop Bernard O'Grady OP, at an ordination anniversary Mass recently. The Mass, remembering Fr John's ordination at St Francis Xavier's cathedral, Adelaide, Jul 28, 1948, was celebrated at St Catherine’s Nursing home, Eastwood, NSW, with a number of close family and friends, some travelling from South Australia, Victoria and Queensland to be a part of the occasion. Ad multos annos, Father John! 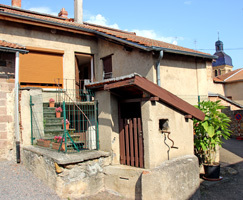 From La Neylière, France, Fr Tony Kennedy reports:. 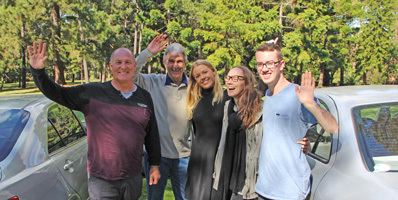 'During the month we spent time hearing about each of the formation houses, the different stages of formation and the challenges of formation ministry, as well as visiting some of the Marist places. Eighteen participants from thirteen different countries who currently work in nine Marist formation houses were engaged in the month-long workshop. 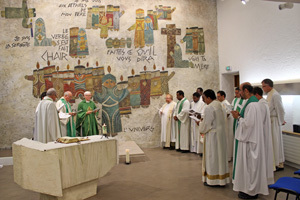 seen here at their closing Mass at La Neylière | Frs Donato Kivi and John Larsen / Fr Tony Kennedy at the Hermitage.